Bizkü (pronounced biz-coo) are one of the most accessible personal growth tools you can enlist. You won’t need to be a lover of haiku (or any poetry for that matter) to appreciate the instant gratification here. While it takes seconds to digest a bizkü, any one could rock a long-held belief. Bizkü inspire laughter, looking twice and thinking anew. Perfect for life’s “in-between” moments: subway, airport, cooking, grocer, intermission and more. With your purchase, you’ll download a .zip file. Simply double-click that to expand and reveal audio tracks. Import these into iTunes or open in your preferred media player to listen. 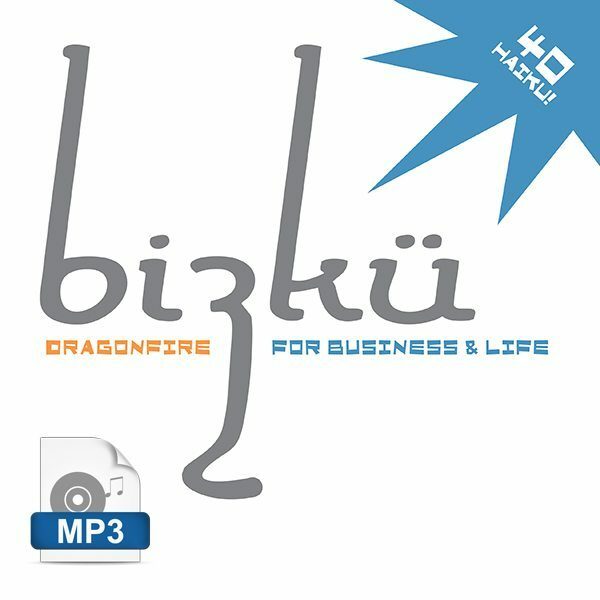 This is an abridged, “best of” compilation — the top 40 selections from the 200 entries in Bizkü Vol. 1.